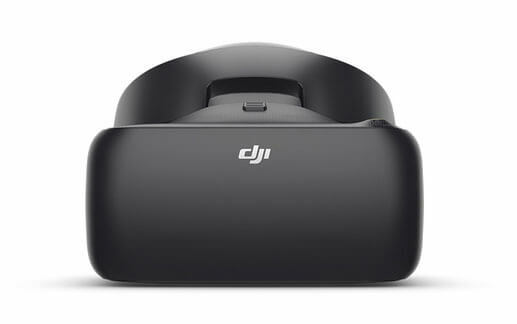 The DJI Racing Goggles are the new look uprated version of the original DJI Goggles offering a new look metallic matte black visor and headband. DJI Racing Goggles are the perfect accompaniment to the current lines of DJI drones. TheDJI Racing Goggles are designed to give pilots a whole new perspective on flying with a high definition cockpit view. DJI Racing Goggles work with advanced flight modes and really put you in to the action. 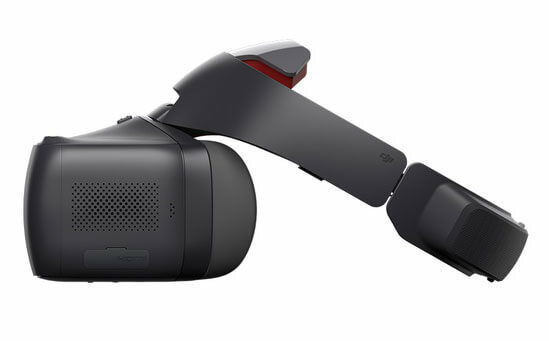 DJI Racing Goggles offer close range 720p 60fps or 1080p at 30fps further afield, both with a super low latency of 50ms. The goggles antenna offer a 360 band meaning you can get super quick transmission even when the drone is behind you. DJI’s OcuSync allows you connect up to 2 headsets on devices like the Mavic Pro. The coolest part of the using the DJI Racing Goggles is the ability to use head tracking to control the direction of the drone and the yaw movement of the camera gimbal making the flight truly immersive. Fixed wing mode offers a really simple way to enjoy flying from the headset. Micro USB on the goggles handle head tracking connectivity, HDMI offers connectivity to bigger drones like the Inspire and Phantom as well connectivity to an external video feed to watch videos or films. A micro SD slot offers the ability to transfer video direct to the headset for backup meaning if you lose your drone you won’t lose your footage. There is also a useful option for video playback, so you can get the shots you need without multiple attempts. The Racing Goggles offer more video formats than its predecessor including MOV, MP4 and MKV.